After a very slow and steady start, Imagineer's Nintendo-published title Fitness Boxing appears to be blooming in Japan, all thanks to players sharing their weight loss stories online. Since its release in the country last month, Fitness Boxing has been slowly gathering a small handful of sales each week without making much of a dent on the charts (it scraped into 20th place a couple of weeks ago thanks to relatively low sales across the board). Now, though, reports suggest that the game has completely sold out across all Yodobashi stores nationwide, one of the country's leading electronic retailers. It would appear that the sudden interest has been sparked by those who purchased the game early on, who have been sharing their experiences with the title on social media platforms such as Twitter. The tweet below has been shared almost 16,000 times. Other users note how they have seen significant weight loss thanks to playing the game regularly; @bibresin says that they have lost 4.8kg after playing the game for 35 minutes every day over the last month, while @wez152403 has already lost 2.9kg. 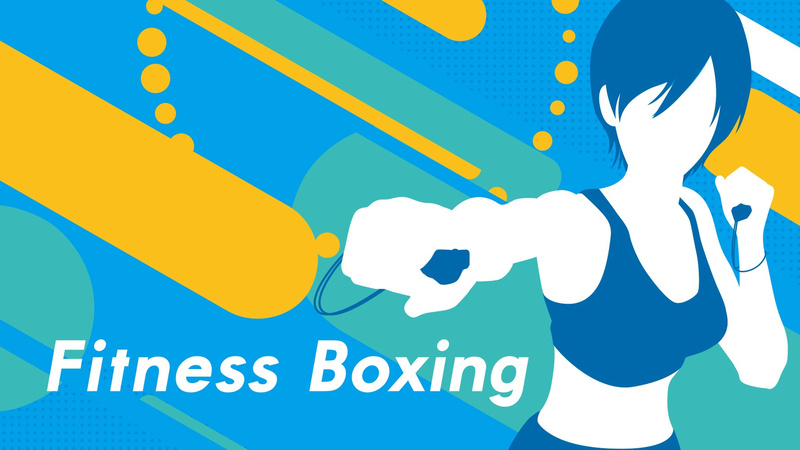 Perhaps Fitness Boxing will turn out to be the new Wii Fit after all? Only time will tell. 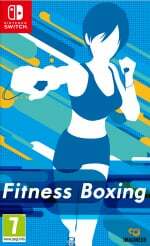 Have you tried out Fitness Boxing? Do you play the game regularly? Let us know about your experiences in the comments. This is awesome - been wanting to pick this up but $50 is a bit steep for only 20 songs. Maybe on a sale. Fitness Boxing Day #22: My arms have become lethal weapons and I fear for the safety of my peers. Later I will change Laura's dialect to Japanese. This had pretty much flown under my radar, but with a busy job a 3 year old and a long standing achilles tendon injury it has been really hard to find a work out that works for me and this could be just the ticket. I've piled on a stone and a half or so since the injury stopped me running properly and I could see this being a real winner. The demo is downloading now... and then we will see if I should buy it!. @Marios-love-child Congratulations my friend. Keep at it! I have been looking at this to help fight the podge and this may been the tipping point I needed to buy. Would snap it up if it wasn't so expensive! That’s amazing. I love when video games can actually improve someone’s well being. Sometimes when I feel a bit sluggish to go out to the gym, Icrank out Just Dance on Switch for a cardio workout. Maybe not quite as effective, but it will leave you sweating at the end of it. The Wii version of this game was really good. And is still a good fitness program today. I would get the newer version for the Switch, but the price is still steep considering the Wii version works just fine. Don't buy this for the music, but for the workout. This game is currently No. 1 in the Switch best-sellers list at thegamecollection.net. Too expensive for me, but fair play, hope it does well as it will inspire more motion controlled games. I need to lose a "little bit" of wheight soon. I'll pick this up if it's on sale. @gcunit Considering it is £4 cheaper at TGC compared to anywhere else I can see why people are buying it from there. That’s great. It’s a pretty good workout game. The game is really good, training always pays. Tried the demo and thought about buying it, but realized I might as well be playing ARMS since it’s actually fun and I get plenty of exercise playing that. Fitness boxing needs an actual boxing mode imo. Shadow boxing just isn’t worth the price tag to me, but I’m glad others are benefiting from it. I’ll reconsider if it ever gets a massive price drop tho. Who knew there was still a market for the fitness fad in video games? @Marios-love-child You've convinced me man. I'm getting this one in a couple of weeks. I need to get rid off of my daddy belly. I'm still playing the demo, and I can say that it does work pretty convincingly. I'm probably going to end up buying it, but I didn't want to jump the gun with something I'd abandon after a day or two. Hint: You can infinitely play the demo (if you're easily bored or annoyed by having to redo tutorials etc, and hate limited music choices and such, don't do this) by making new switch accounts and then playing the demo on them. I've been doing it for about 25 or 26 days now, and I've seen quite the improvement. My girlfriend has also seen quite an improvement, though she was more doing it for fun (loves boxing for some reason) than weight loss or muscle gain, and I'm doing it to escape the cold coz I don't believe in fitness centers. It's actually quite fun too. I highly recommend it. I've really liked it, but one drawback is that the game requires such a fast jabbing motion that the joycon doesn't register it at times, breaking a string of "perfect" hits. It is surprisingly deep on the variations of workouts you can do and tracks your progress. It does lack (as far as I can tell) a way to translate the weight and goal markers from kg to pounds and etc for North American users. It really is pretty fun if you like fitness games, but the price tag should be at least $10 lower for just the only sport it offers. It's definitely better than the ridicule a game like this always seems to invite. I LOVE this game for me it's easy 10/10. I got this game cheaper from Base.com. it's really not a game but a very effective fitness trainer. Its caused me to rapidly lose weight without really trying to do that. Its caused me to use muscles I hadn't really used before in my life such as my lowest abdominal muscles and my top pectoral muscles. Its made my torso feel toned for the first time in my life. Its caused me to love boxing for fitness for it's beneficial not only physically but mentally also, making one more determined, more go-getting. Its caused me to dip my hand into Just Dance dancing as well, for a little more light fun activity. Its had me doing a workout every day happily for two weeks without a day missed. Because I'm chronically ill with fibromyalgia I use the game on its lowest easiest lightest shortest setting and I still benefit a lot from it. Indeed the fact it doesn't involve using weights that trigger fibro flares is a boon for me. It also helps that the game doesn't involve walking which is another fibro flare trigger. The game exercises the body in unusual ways that we don't usually move in our daily lives so it uses little used muscles, which reduces fatigue from exercise. The game is ideal for people who are housebound by illness or for people who are so busy they have no time to get to a gym. It doesn't matter that the music is simplified instrumental versions because the point is the exercise and that type of music gives a useful good regular beat and keeps the focus on the exercise. It doesn't matter that the Joy-cons are sometimes too easily registered with a similar but incorrect type of punch because it's up to you to use correct form so that your body gets the most out of the exercise. Cheating on this game would reduce the improvement of your own body so you have incentive to do the moves correctly. And in any case this incorrect registering happens rarely if you use correct form and so the game does get you moving a LOT which is the whole point! I love this game so much that purchasing a Nintendo Switch was worthwhile just to be able to play this game. In fact the cost of a Switch plus this game comes in at less than the cost of a dozen lessons with a real fitness boxing trainer and that would only last a couple of months. In that light, if the game gets you exercising, sweating, fitter, losing weight, and toned, the game is fantastic value. If you can't get to a real life fitness boxing personal trainer this might truly be the next best thing. Hmmmm, maybe this could help with the annoying belly I seemed to have developed. I downloaded the demo, it really is quite tiring. I want the full game, but I’m a bit spent right now. I was hoping to pick it up on sale but if the game is doing well, there might not be a sale any time soon. Wouldn't mind a wii fit trainer dlc character on this game. If that happens.... Maybe I'll pick it up. 24-days streak, and I'm indeed slowly losing weidght. I would need to change more my eating habit for optimal result, but even without that, I lost around 8lbs with just a 35-minutes session every morning when I wake up. @Drac_Mazoku 8lb in 3 and a half weeks without a diet change is not to be sniffed at my friend. You should be very pleased! I actually enjoyed the demo, and I like the look of the female trainers (though the voice acting in the demo was a bit grating). Lower that price a bit and we can talk, but it's definitely a contender. @BalrogtheMaster You really won't notice the songs. I typically turn the music down a bit and turn up the trainer's voice and sound fx. I would also urge every0ne to stop looking at this as a "game" that will go 0n sale. This is exercise equipment. c0nsider that in the 2 weeks or 2 months it takes for this "game" to drop in price by $10 and (quite literally) weigh that against how much weight you could have lost in that same time period. Is that worth $10 to you? I play this with the music off and a play list from Spotify on. I think it works well for cardio. I love it. The number of songs is almost immaterial, as you end up concentrating on the trainer’s voice. I was going to wait for a sale, as I thought it was overpriced, but then figured the earlier I buy it, the earlier I kickstart being more healthy. And compared to a gym, it is dirt cheap. And the training is fun! I've had the same issue in that the joy con's can be a little too sensitive sometime and don't register the punches correctly. My wife keeps pointing out that I'm still throwing the punches and therefore completing the exercise which is kind of the whole point in me getting the game so it's not a massive issue. I guess the gamer side of me just gets frustrated as its virtually impossible to get a perfect score mostly through no fault of your own. Hmm, might pick up digitally at some point. I've spent 32 hours with it in the last 3 weeks. I haven't lost anything. In fact, I gained a kilo. Congrats to them. I'm glad some of you are really enjoying this and getting something out of it. But i must say, after watching some videos, if you guys really want to use video games as a means of exercise (i do too), please look into getting a vr headset. Beat Saber on PC is the ultimate for that. Box VR is pretty good too, among a few others. I've lost about 13 lbs so far doing this, eating better, obv calorie reduction helps, and doing the 100 pushups workout. Feel great and won't stop but lord almighty the game isn't that great. I keep seeing comments about the game registering inputs inaccurately. I have to say I am really happy with the joy-c0n accuracy. Wiimote with wii moti0n plus and an IR sensor bar / Kinect with dual IR cameras and motorized self tilt registered 60% at worst and 80% at best of my inputs across every exercise game I tried with them. I would say that Fitness Boxing is around 97% accurate for me. I regularly clear routines with 100% perfect hits. And I don't feel that I have to exaggerate my moves. Wait, so the game is in KG only?